Penguin is a town on the north-west coast of Tasmania, Australia. It is in the Central Coast Council local government area and on the Bass Highway, between Burnie and Ulverstone. At the, Penguin had a population of 3,849.HistoryPenguin was first settled in 1861 as a timber town, and proclaimed on 25 October 1875. The area's dense bushland and easy access to the sea led to Penguin becoming a significant port town, with large quantities of timber shipped across Bass Strait to Victoria, where the 1850s gold rushes were taking place. The town was named by the botanist Ronald Campbell Gunn for the little penguin rookeries that are common along the less populated areas of the coast.Sulphur Creek Post Office opened on 1 January 1867 and was replaced by the Penguin Creek office in 1868. 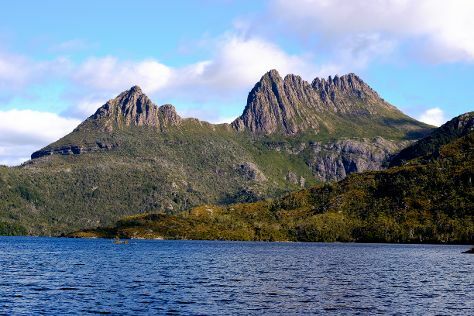 The latter office was renamed Penguin in 1895.Penguin was one of the last districts settled along the North West coast of Tasmania, possibly because of an absence of a river, for safe anchorage. Nearly all travel in those days was by boat as bush made the land almost impenetrable. Many of the settlers probably emigrated from Liverpool via landing in Launceston then sailing west along the coast. Trade began when the wharf was built in 1870, allowing timber and potatoes to be exported. Penguin Silver Mine, along the foreshore slightly to the east of the town opened in 1870 but failed a year later. Neptune Mine, a tad further along, likewise failed. The rail from Ulverstone arrived in 1901, after which trade by sea declined. Passing of the Local Government Act in 1906 saw Tasmania divided into 48 Municipalities. Penguin’s first Council was elected in 1907. Penguin is in Tasmania. Add Penguin and other destinations to your itinerary using our Australia day trip tool , and learn about what to see, what to do, and where to stay.